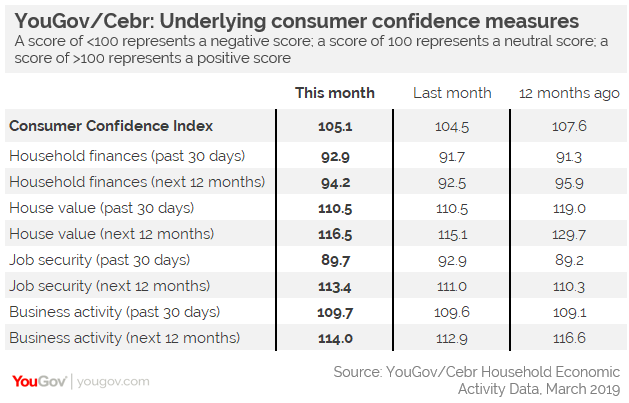 Despite the Brexit deadline drawing ever nearer and the likely outcome being none the clearer, consumer confidence has risen for the second consecutive month - plotting the first buoyant two-month period since the very beginning of last year. 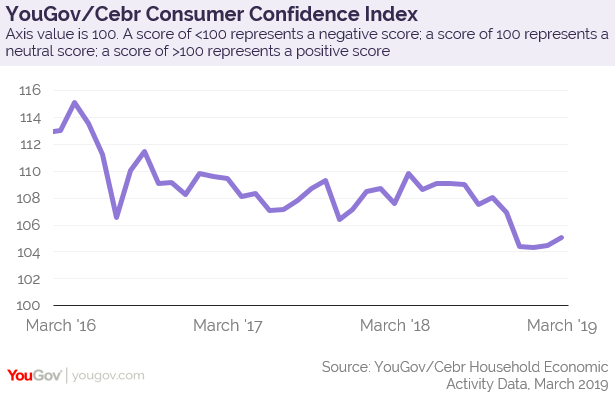 Any score over 100 means more consumers are confident than unconfident, and March’s rise of 0.6 points to 105.1 emphasises the smaller rise seen in February, which was itself the first positive movement in four months. But it must be pointed out that only three months since the beginning of 2014 have seen a lower consumer confidence score. March&apos;s uptick represents a slight inflation in positive sentiment but ultimately does little to reverse the long-term subdued trend. Six of the eight constituent metrics were up in March. 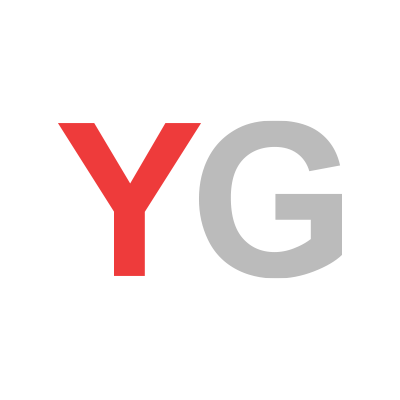 Household finances over the last month were up 1.2 points to 92.9, and there was an even stronger positive move of 1.7 points in expectations over the coming year to 94.2.
Business activity made a negligible rise from 109.6 last month to 109.7 in March, but over the coming year jumped more than a full point to 114.0. The only fall was job security over the last month, which was down to 89.7, but expectations over the coming year were up to 113.4.